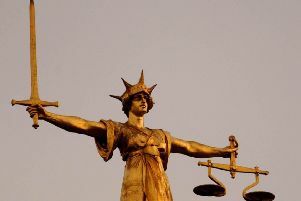 A senior Eastbourne United football coach has been sentenced for stalking his former partner. In court on Monday (February 11), he appeared having pleaded guilty to charges of stalking and causing Ms Taylor serious alarm or distress, which had an adverse effect on her usual day-to-day activities. The 53-year-old, of Brightling Road, Polegate, is currently a coach at the Eastbourne team, and was previously manager at Hastings United and Lewes FC. Eastbourne United chairman Billy Wood said, “We are aware of the situation and have spoken to Jason in regards to this. This was a historic dispute between a partnership which ended years ago and before joining the club to assist Arron.